Here’s the synopsis: ‘Early 18th century. England is at war with the French. Nevertheless, duck racing and pineapple eating are thriving. A frail Queen Anne (Olivia Colman) occupies the throne and her close friend Lady Sarah (Rachel Weisz) governs the country in her stead while tending to Anne’s ill health and mercurial temper. When a new servant Abigail (Emma Stone) arrives, her charm endears her to Sarah. Sarah takes Abigail under her wing and Abigail sees a chance at a return to her aristocratic roots. As the politics of war become quite time consuming for Sarah, Abigail steps into the breach to fill in as the Queen’s companion. Their burgeoning friendship gives her a chance to fulfil her ambitions and she will not let woman, man, politics or rabbit stand in her way. The trailer for the movie has now arrived, which you can take a look at below. The Favourite is released in UK Cinemas on January 1st, 2019. While Kenneth Branagh was putting together his new filmic take on Agatha Christie’s classic Murder On The Orient Express, quite a few big-name stars came and went, including Angelina Jolie. However, he ended up with quite a cast, including Johnny Depp, Daisy Ridley, Michelle Pfeiffer, Penelope Cruz, Josh Gad, Willem Dafoe, Judi Dench, Olivia Colman, Derek Jacobi, Leslie Odom Jr., and Branagh himself and the famed Belgian detective, Hercule Poirot. Now we’ve got out first look at the movie, via EW, which suggests plenty of 1930s glamour, while Branagh and his impressive facial hair suggest a more hard-nosed version of Poirot than we’re used to. Christie’s novel is about a death on the world’s most famous train, when a man known as Mr. Ratchett is stabbed 12 times and killed. Hercule Poirot, who happens to be travelling on the Orient Express, starts to investigate, discovering that many people could be the culprit – which is where all the new movie’s other famous faces come in. It’s difficult not to look at London Road and think that it ought to have been a disaster. For a start, a musical about a fairly recent serial killer case sounds tacky and a little bit tasteless. Likewise, having a musical where all the lyrics are taken from real-life interviews, using the original genuine speech-patterns, sounds like the sort of thing that might be nice as an artistic exercise, but not anything that could create good songs that people would be interested in hearing. Greek director Yorgos Lanthimos got a lot of people interested in him with Dogtooth and Alps, and now he’s moved to mainstream talent with The Lobster, which stars the likes of Colin Farrell and Rachel Weisz. Now he’s planning his next film, and he’s lining up some great actresses to star, as Deadline reports that Kate Winslet, Emma Stone and Olivia Colman are all in talks for the film. 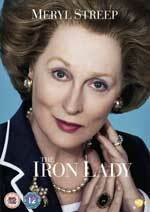 Colman would be Anne, with Winslet would be her confidante, Sarah, Duchess of Marlborough. Stone meanwhile is in talks to be Abigail Masham, ‘an impoverished, distant relative of Sarah, who gains a position at court tending to the Queen’. Deborah Davis and Tony McNamara wrote the script. The Lobster is the highly anticipated English language debut of internationally acclaimed Greek director Yorgos Lanthimos, who thrilled and shocked audiences worldwide with Dogtooth (2009) and Alps (2011), and is set for release across the UK and Ireland on 16th October 2015. The Lobster is a love story set in the near future, when single people, according to the rules of The City, are arrested and transferred to The Hotel. There they are obliged to find a matching mate in 45 days. If they fail, they are transformed into an animal of their choosing and released into The Woods. A desperate Man escapes from The Hotel to The Woods where The Loners live, and he falls in love, although it is against The Loner’s rules. For a while a biopic of Lionel Bart, the gay composer of the legendary musical Oliver!, has been in the works. Well now it’s moving towards the screen, under the title Consider Yourslef, with Deadline reporting that Geoffrey Rush has signed on to play the lead role, with Stephen Fry, Olivia Colman, Eddie Marsan, Matt Lucas and Michelle Dockery also onboard. Of course, as Rush can’t really play Bart as a young man, Al Weaver will take that on. Bart is an interesting figure – something he realised himself, as at one point he wrote a musical based on his own life – as he was born in 1930 into poverty as the youngest son of Galician Jews who’d escaped the pogroms against them in Central Europe (Bart’s original surname was Bergleiter). His parents treated him as a child prodigy and he built a small reputation as a painter. A teacher also told him mother and father he was a musical genius, however Bart never applied himself, so that even when he almost accidentally got into music as an adult (after his painting dreams didn’t pan out), he never learned to read or write musical notation. He wrote a few revues and then found success penning pop songs, including Cliff Richard’s Living Doll, but he skyrocketed to the top of the British cultural scene with the massive success of Oliver!. Following that he became the first person ever to have three musical playing simultaneously in the West End. However he never managed to create another musical that was even close to being as successful Oliver!, and indeed after his initial success he lost huge amounts of money and made some rash business decisions – including selling his Oliver! rights for far less than they were worth – to keep some of his later, unsuccessful projects on the stage. He had problems with drink, drugs and depressions and until his final years he also kept his sexuality hidden from the public, including being romantically linked by the media to the likes of Judy Garland and Alma Cogan despite having relationships with men in private. Despite his problems and lack of hits, throughout the 70s he was a major celebrity, which is what allowed him to mount his flop autobiographical musical, Lionel!, in 1977. Bart died in 1999 following a long battle with cancer. Thankfully in his final years he did manage to find some success as well as benefiting from revivals of Oliver. He also became the subject of someone else’s musical play, It’s a Fine Life, in 2006. It’s a real rags to riches story and now it’s being turned into the original musical film Consider Yourself by Elliot Davis (Loserville: The Musical), and choreographer Peter Darling (Billy Elliott: The Musical). Vadim Jean (Leon The Pig Father) is set to direct. The movie will be looking for deals at the Berlin Film Festival, with the hope of shooting later this year. 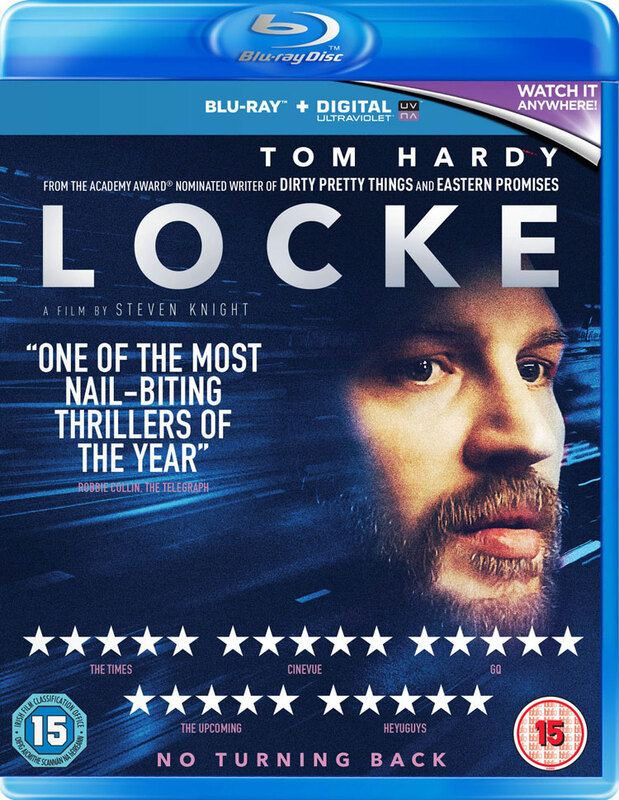 Locke is the sort of film that was always in danger of seeming gimmicky. It is after all an entire movie where the only visuals are a single man, Ivan Locke (Tom Hardy), in a car driving along a motorway, with the ‘action’ playing out in real-time. 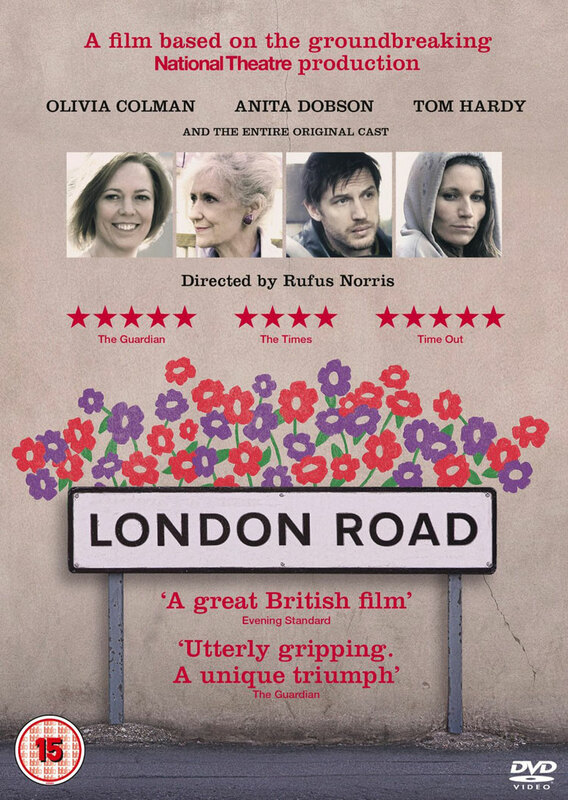 When you look at Tom Hardy, few people think, ‘there’s a man who ought to be in musicals’, but he’s setting out to proved them wrong, as The Daily Mail reports that Hardy and Olivia Colman have signed up to star in the musical London Road for Broken director Rufus Norris (another person you wouldn’t necessarily think would be making a musical). Although as those names suggest, this isn’t your usual musical. The film will be adapted from the stage version, which is set in the Norfolk town of Ipswich during the time a serial killer murdered five women in the space of just a few weeks. 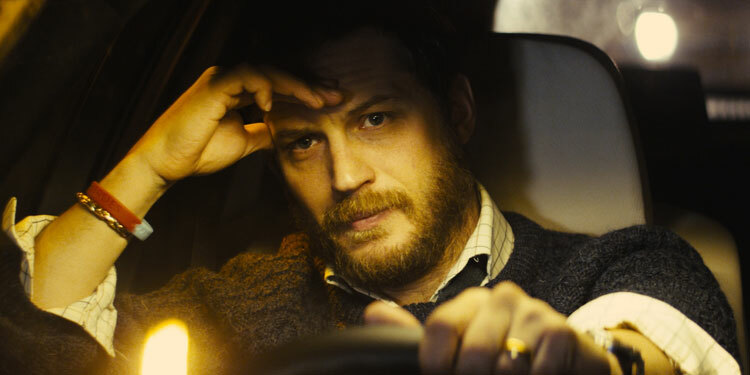 Hardy will only have a small role, playing cab driver Mark,who has a single scene where he sings about the difficult passions he had as a teenager. Hardy apparently loved the musical on stage and personally approached Norris to appear in the movie version. The incredible Colman meanwhile is Julie, a Neighbourhood Watch organiser who comes up with the idea for ‘London Road In Bloom’, where they organise and put up hanging baskets full of plants, singing to provide a distraction from the darkness and fear that’s swept over the town. Linzi Hateley, who starred in London Role on stage, will reprise her role as a retired school teacher and Neighbourhood Watch secretary, Anita Dobson is set to play a line dancer. Eloise Laurence, who starred alongside Tim Roth in Norris’ directorial debut, Broken, will be one of several young schoolgirls. Rufus Norris is directing from a script he co-wrote with Moira Buffini and the play’s creators, Alecky Blythe and Adam Cork. The first trailer for the British comedy I Give It A Year has arrived, which teams up the likes of Anna Faris, Olivia Colman, Rose Byrne, Simon Baker, Rafe Spall, Minnie Driver and Stephen Merchant, for a movie that looks at the realities, trials and tribulations of the first year of marriage. Merchant gets the plum role in this promo, giving a truly cringe-inducing best man speech, in a way only he can. Dan Mazer makes his feature-directorial debut, having spent years writing and producing with Sasha Baron Cohen on everything from Ali G to The Dictator. 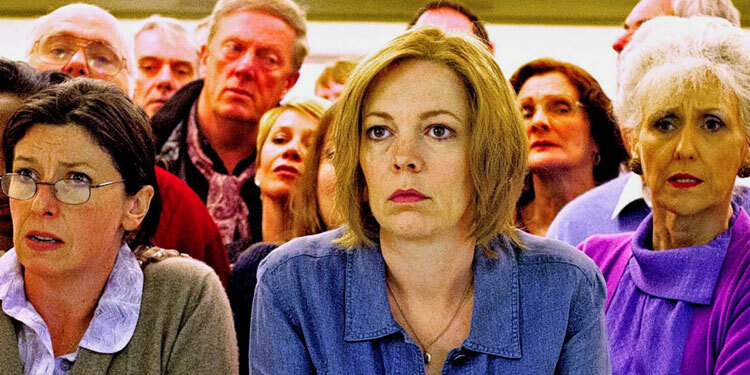 The film is due to hit UK cinemas on 8th February 2013, just in time for Valentine’s Day. And while we’re hit, why is it nearly every British comedy in the past few years seems to have been about weddings? It’s not even like they’re inherently successful, as everything from The Knot to The Wedding Video have proved. Maybe looking at the first year of marriage can broaden things out a bit. 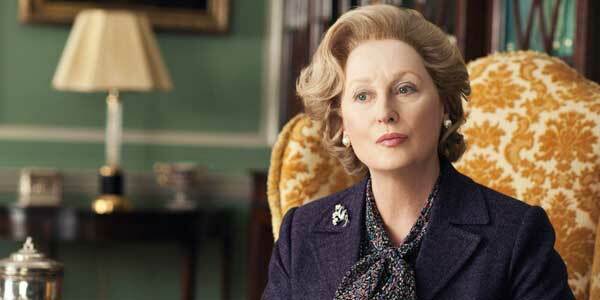 If you read a variety of the reviews of The Iron Lady when it came out at cinemas, it really is like they were talking about completely different films. Everyone agrees Meryl Streep is ace, but to some it’s an apologia for a tyrant, to others a left wing fantasy, there are those who feel its concentration on her old age is schadenfreude taking pleasure in her mental problems, while a few believe it is a suitably reverential, right wing look at a great woman and will make people with a liberal philosophy take stock.